So I guess all my regular readers know what that means. If not, I will explain. 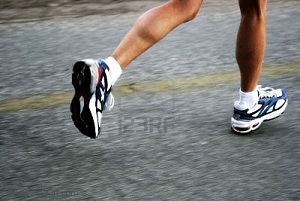 Today I went for a long run and I had no leg cramps until the very end. Yippee! The ones that happened at the end were not even that bad, oh and I should mention that the cramps were around mile 17.5 and I was able to last until 18.2, which was where I wanted to stop and I think they only came because I stopped. The best part is that I ran 8 miles yesterday so I even got a marathon in this weekend. Anyway, I can honestly say my run today was wonderful. It was very hot like in the low 80’s by the time I finished but I really liked it. There were points of it that I was able to relax and look around at the scenery. I even met someone at mile 9 that was just out running for fun. It was his mile 3 but we were able to chat for a few moments and by mile 10 (his 4th mile) he was turning around to go home to spend the day with his kids and I was over halfway done. Yippee! We wished each other good luck in our upcoming events, his a 26.2 mile walk for charity and mine, well we all know that it’s several races before the marathon in October. I love the running community because we want to see each other succeed so much! Then at mile 15, I passed a friend I had not seen in a year who was out for a walk with her two very young daughters. It was so fun to see them and I was able to stop and spend a few moments catching up. Oh and I was very thankful for the break before the last 5K to the car. 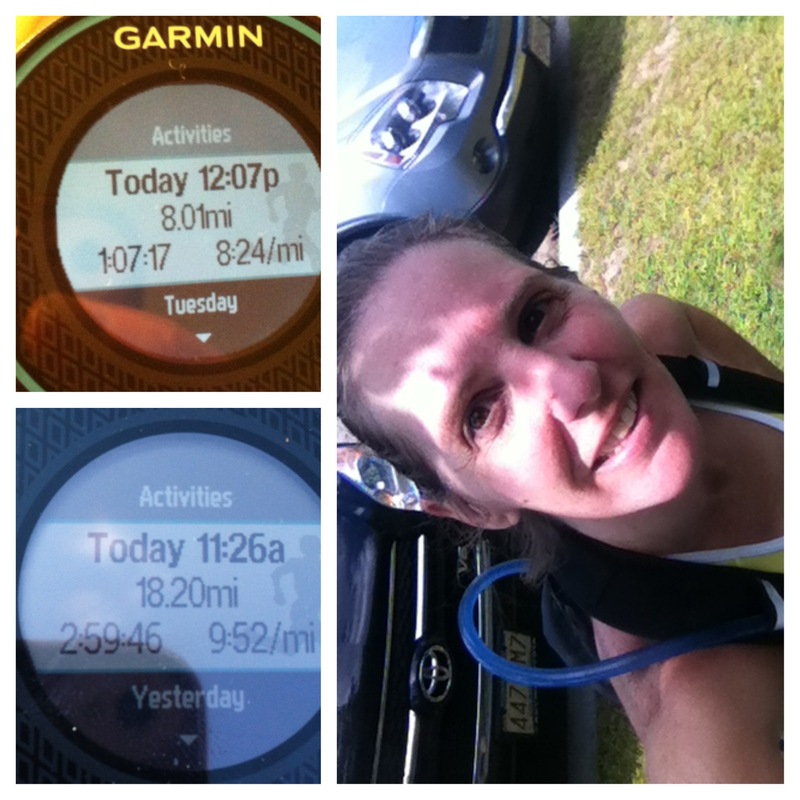 Yesterday’s run and today’s run with my new hydration buddy. Now looking back, I think I have hit on some good nutrition. 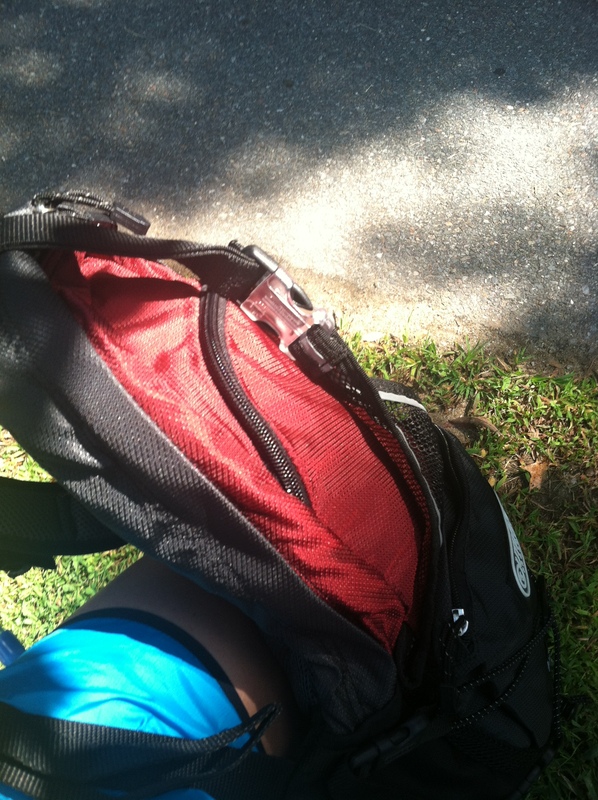 I mixed the endurolytes with my water in my camelback and had more than enough to make it through. I am not sure how this will translate to actual races because there is no way I want to carry that backpack in races but the good news is, I know I could do it if I needed to. I’m looking forward to a rest day tomorrow and taking advantage of the free chair massage at my gym. I think my back muscles will need it with the extra weight I put on it today. How was your weekend? Any Yippee moments? Please share I love to hear about accomplishments whether big or small. 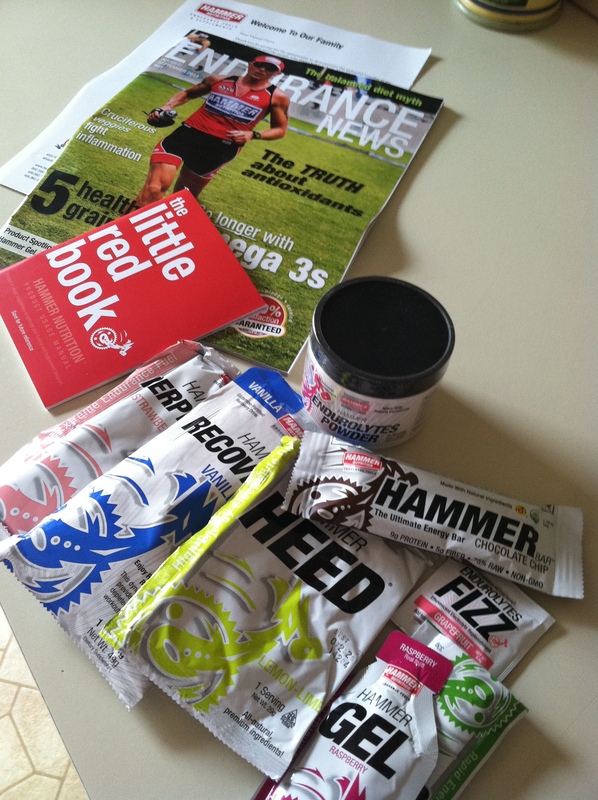 Last week I ordered some endurolytes powder from Hammer Nutrition and today I got my box. It was way larger than I thought and when I opened it I was delighted to find all kinds of presents. 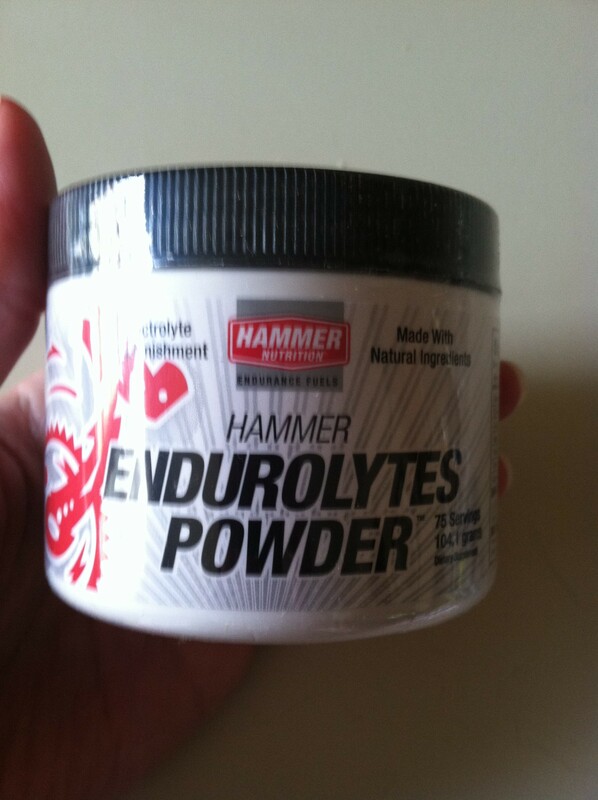 I used the endurolytes powder today and mixed it with my water and it had no taste at all and mixed very nicely. Maybe it was a little hopefulness and a lot of help from the powder, but I had no leg cramps and I felt pretty fast. Then I came home and thought why not try the Recoverlite stuff they sent too, especially because I have an even longer run planned for tomorrow. It wasn’t the worst thing I have ever tasted and it actually was pretty good after I mixed it really good. I was thinking if I try it again it would be in a smoothie or something like that. I’m really weird with textures and powder in water is not always that great. Anyway, I can say I have a lot of energy, not as tired as usual but tomorrows run will be the true test for the endurolyte. Meanwhile I will just hope and pray that it works. Because I don’t know about you but runs with cramps tend to make me question things. Runs like I had today made me realize why I keep going, 8 miles of hills and I felt stronger at the end than in the beginning! 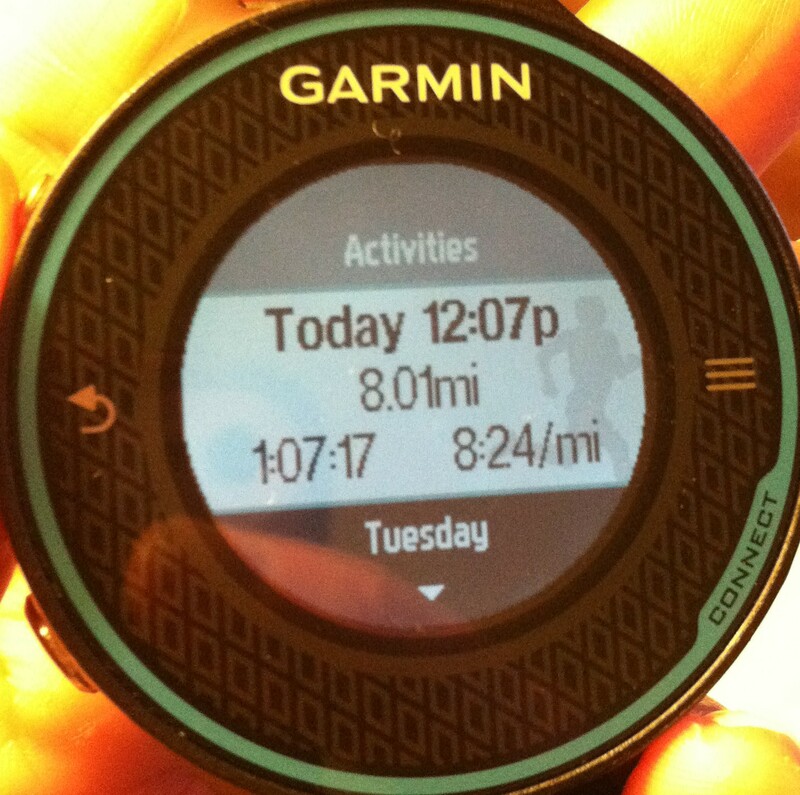 How was your long run Saturday? 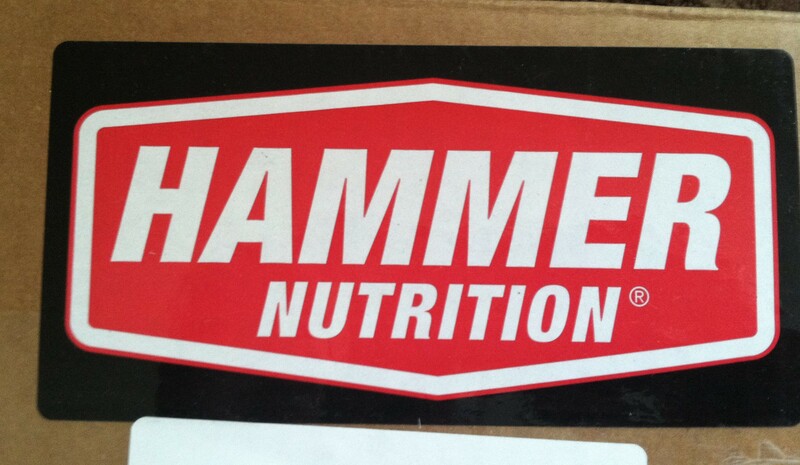 Ever try Hammer Nutrition products?